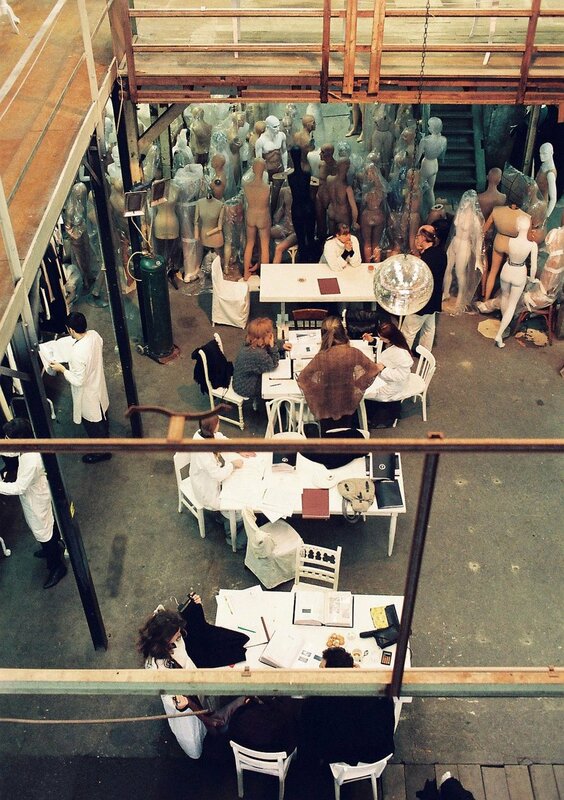 UPDATE: A second screening for "We Margiela" will be held at BOZAR on October 31. By and large, this will have been a stellar year for Martin Margiela fans. After the much-discussed and lauded “Margiela: The Hermès Years” expo at MoMu Antwerp earlier this year, comes a new Margiela experience. “We Margiela” is the story of the original creation of Maison Martin Margiela and the lab coat-clad team that made the magic happen. Premiering October 23 at Cinema Zuid Antwerp with the support of MoMu Antwerp, the documentary screening will be followed by a panel discussion and most likely a renewed sense of inspiration and awe for this Belgian fashion classic. Told by the late Jenny Meirens, the co-founder of the Margiela brand who passed away this summer, and the original creative team behind MMM, “We Margiela” aims to shine some light on those early days through rare archive material and deep-dive interviews. Everything from its founding day in 1988 to the house’s ultimate sale to Renzo Rosso’s Only The Brave in 2002 will be brought to the big screen by Rotterdam documentary production company Mint Film Office. The ground-breaking designs, the idiosyncratic house philosophy, the innovations: they’re all part of this unique and timeless brand tapestry, which still inspires many designers today. The full cast list reveals appearances by Dries Van Noten communications director Patrick Scallon, make-up master Inge Grognard and designer/Wolfgang Tillmans muse Lutz Huelle. What makes this story all the more interesting, which it already is at face value, is the cautionary wisdom it contains for budding designers. Maison Martin Margiela was one of the first big modern houses to crumble under its own financial growth, leaving a vast mass of employees and fans behind to deal with the consequences. Jenny Meirens and the elusive Martin Margiela even severed all communication from that day on. This modern-day tale of rise, fall and enduring influence is one not to be missed, so get to ticket-claiming. The film will premiere on Sunday October 22, at Museum Boijmans Van Beuningen Rotterdam. MoMu is initiating the Belgian première of We Margiela at Cinema Zuid, Antwerp on October 23. 10 Corso Como Milan will host the premiere October 26, 2017.